In this section news will be added regularly, e.g. regarding products, services or updates of the website. 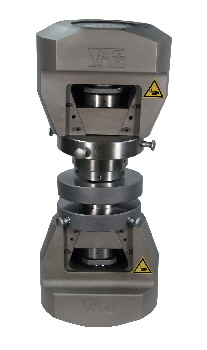 In the Video section a clip of a new 100kN wedge clamping tool with hydraulic preload was added. The business card, optimized for different devices, is from now on downloadable in the section “Site Notice”. The leaflet is from now on downloadable under the section “Service” respectivley “Products”. We could increase the maximum nominal load of our clamping tools significantly, actual the amount for hydraulic clamping tools is 2000kN, for mechanical clamping tools 1500kN. 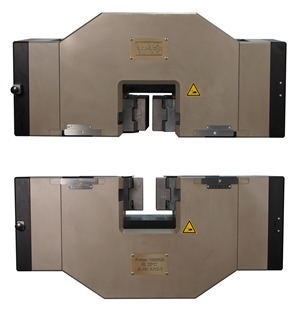 With the pneumatic mechanical clamping tool, metallic and non metallic samples can be clamped slip-freely. The clamp load is generated with the wedge action. The preload is generated pneumatically. In the Video section a clip of a new pneumatic 1kN clamping tool was added. In the Video section new clips were added. In the “Video Section” product clips will be published soon.